The name escapes me at the moment and I'm going to pretend I'm not a tab away from googling the answer, but there is this practice of willing things into existence by merely thinking positively about the outcomes you desire. Maybe that's what's in that book, "The Secret"? I've never read it but I'm pretty sure someone told me once that's what the secret was. Anyway, Portland, Oregon’s Lubec have taken this art of universe manipulation and made it much more communal. So many of their songs contain these joyful moments where every member in the band is shouting to the heavens like they're casting some sort of spell and I am on board for their brand of witchcraft. 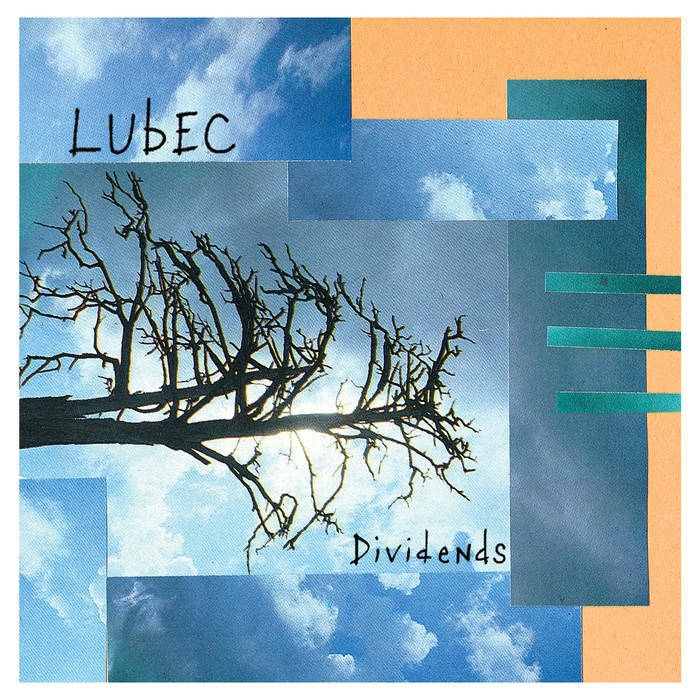 Lubec's newest release Dividends is another step forward for a band I've been following since I first heard their album The Thrall back in 2014. While Cosmic Debt, their prior release, found them exploring the amebic corners of noise pop, Dividends feels more focused and defiant. Caroline Jackson's piano is driving, Matt Dressen's drums blast and Eddie Charltons guitars seer through the wash of sounds on this short, but sweet 4 track EP. All the songs feel like they've been crafted during a time when the stability we were lead to believe was inherent to Americans, is not actually that stable or real or truthful. The track "Right Supply" captures these feelings perfectly. "Though it's fitting for some / It's not the beat of my drum / I'm the end of the line" Jackson sings over a swirling piano and reaffirms with "I got the right supply / It's mine, all mine". The final track on this EP is my favorite. A tight, bouncy guitar riff with deep note piano offsets the pounding drums. A sample of something or another hovers behind this track like a drone-copter, but the finale is just superb. I imagine Jackson, Dressen, and Charlton throwing their heads back, fists clenched, and shouting "Grain of Truth!" hoping that their collective powers can somehow convince the world around them to follow their lead. Whatever Lubec releases next, I hope it retains some of this clean cut and focused approach to song writing that Dividends seem to exemplify.